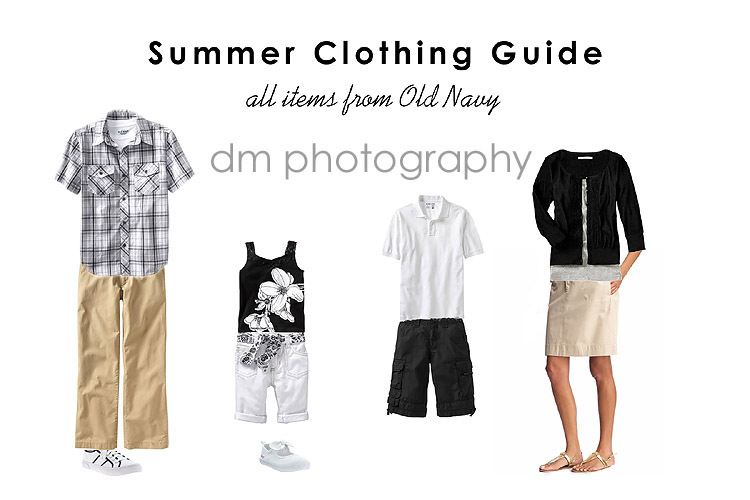 Today's must have is a Summer Clothing Guide to help with the "what to wear" question. I plan to do these more often, rather than just once a season, so I won't say much. Black and white is a great color combo. And its easy to add in an additional color...red, blue, green...any of them will look great with black and white. It can be casual or dressy. Can easily match your family's style and personalities!